Magnolia_0032.jpg, a photo by Patricia Manhire on Flickr. 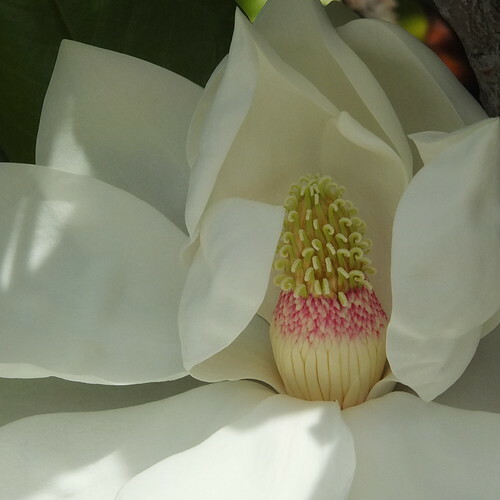 My neighbour has a big magnolia tree and every so often the tree produces beautiful large blooms. I managed to capture this flower opening over the space of half an hour. Here the flower is almost completely open and the centre is exposed. I love the creaminess of the petals with the purple and green/yellow of the centre. I will put a range of photos showing the flower opening on my photograph page.